The laws of physics in proper frames (at high speed for example) are limited in their applicability. 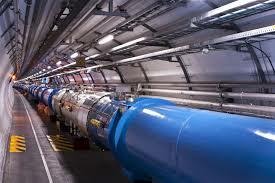 In the Large Hadron Collider (LHC) at CERN high speed particles are being researched. A key question is, to what extend can a (hypothetical) proper observer, travelling along with a proton in the LHC, apply the laws of physics? The authors will show that density is depending on speed and has no maximum. It has enormous consequences to the assumed density of neutron stars and black holes with their high core temperatures.